B&M RDC -2 #6213 stops at the Weston, MA depot headed for Boston. A crew member waits while the last three passengers board. 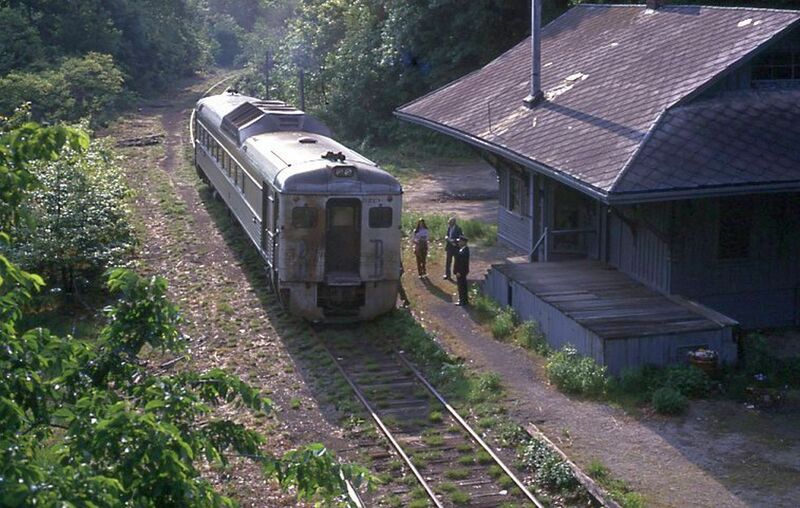 In October of 1971 all passenger service on the Central Massachusetts will end. Photographed by Ron DeFilippo, May 28, 1969.